It’s catnip fit for a king! 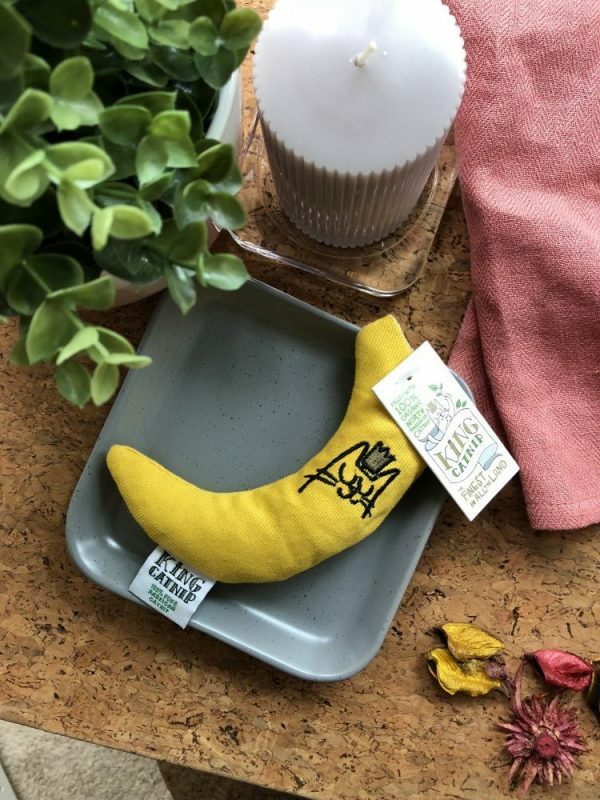 The King Catnip banana toy is a great choice for cats that enjoy thrashing and kicking. 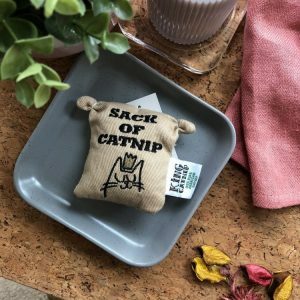 Filled with aromatic, organic catnip leaf, you won’t regret making this cat toy a part of kitty’s play arsenal. 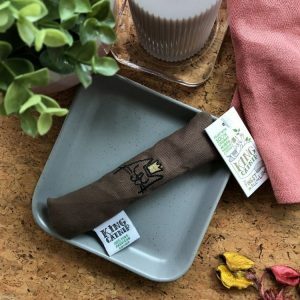 King Catnip toys for cats are fully stuffed with 100% organic catnip leaf; unlike many other brands that only use catnip dust, and made from ethically sourced materials. 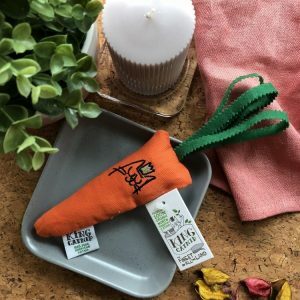 Handpicked in North American fields that are surrounded by glaciers, then made in the United Kingdom, all King Catnip toys are naturally aromatic and feature a velcro opening for easy refilling. Please observe your cat during play at all times. This product comes with an authentic King Catnip label and tag. It does not come in a plastic wrapper. When not in use, place in a sealed, air-tight container.